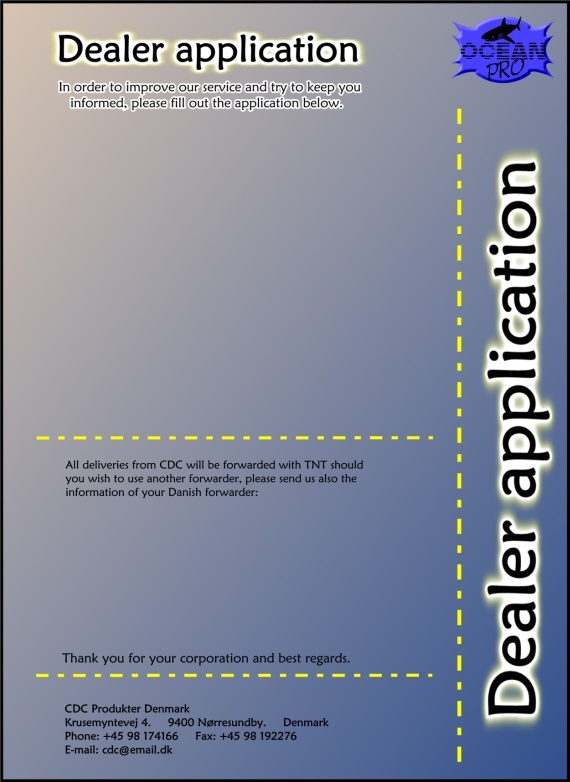 Please fill out the entire application form to make Ocean Pro evaluate if you can be a dealer from your specified area. Fields marked with an '*', MUST be filled. NOTICE: When you have filled out the form an activation link will be sent to the company email address, which you then must confirm before the dealer application you sent becomes active and Ocean Pro can begin evaluation!